WASHINGTON -- Hillary Clinton was interviewed by the FBI about her use of a private email server as secretary of state, her campaign said Saturday, as federal investigators neared the end of the probe that has hung over her presidential campaign. "She is pleased to have had the opportunity to assist the Department of Justice in bringing this review to a conclusion," Clinton spokesman Nick Merrill said. "Out of respect for the investigative process, she will not comment further on her interview." The interview was expected and it does not suggest that she or anyone else is likely to face prosecution. Some legal experts view criminal prosecution as exceedingly unlikely. The interview may indicate that the Justice Department's yearlong probe is drawing to a close. But the ongoing investigation represents a major risk for Democrats as Clinton is merely four weeks away from being formally nominated as the party's presidential candidate. Donald Trump, the Republican Party's presumptive nominee, has seized on the email issue and repeatedly said the probe undermines Clinton's fitness for office. Trump has called his opponent, "Crooked Hillary," and said she cannot be trusted in the White House. 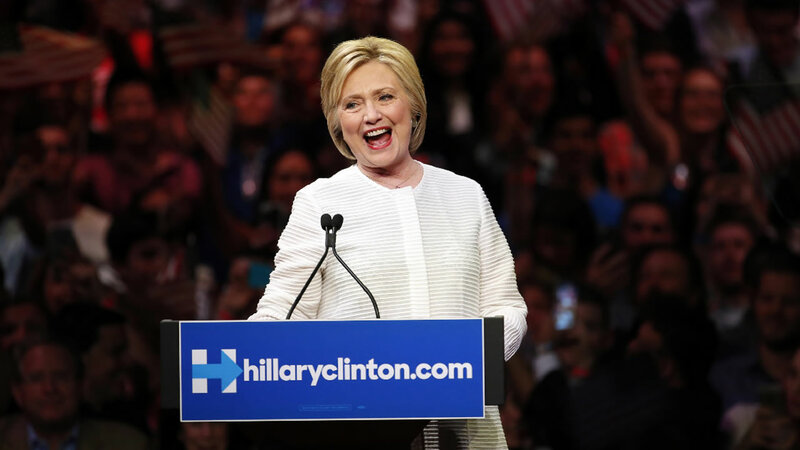 The investigation also poses an unwelcome distraction just as she has vanquished primary rival Bernie Sanders, holds a huge fundraising advantage over Trump and polls show her well-placed to become America's first female president even as many voters question her trustworthiness. The questioning came a day after Attorney General Loretta Lynch, under scrutiny for an impromptu meeting with Bill Clinton on her plane in Phoenix, said that she intended to accept the findings and recommendations of career prosecutors who have spent months investigating the case.